In Scotland, Scott Walker faces sentencing over the crime of carrying a potato peeler, a crime for which he could be imprisoned up to five years or subjected to a fine or both. Five years… for a potato peeler! According to the Criminal Law (Consolidation) (Scotland) Act 1995, it is illegal for any person who has with him (they used the masculine pronoun, oh no!) 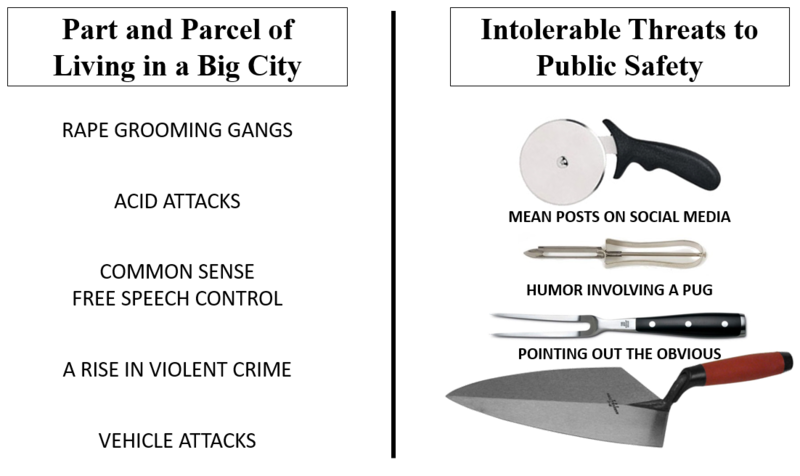 in a public space, “…any article which has a blade or is sharply pointed…” except a folding pocket knife with a blade not exceeding three inches (7.62 centimeters). 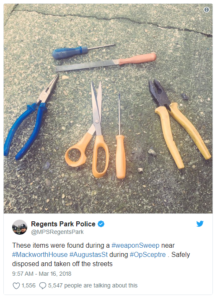 So, in Scotland, a pocket knife is fine, but a potato peeler is an instrument of mayhem. Everyone should be aghast that one needs a reasonable excuse to have a potato peeler in one’s possession. In the UK, you are presumed guilty of a crime unless you can prove your innocence… even for carrying a potato peeler. I don’t have any stats on the number of potato peeling attacks that occur in Scotland, but it must be staggering! If Walker had an unpeeled potato in his pocket, presumably he could have used the I-wanted-to-have-a-snack-later defense. I would be interested in hearing the legislature define the class of person who has the “lawful authority” to carry a potato peeler, wouldn’t you? Are there Potato Officers? Is there a Ministry of Potatoes, with duly designated representatives? If Walker self-identified as a worshipper of the Divine Potato, and asserted that he must be prepared to release any potato from its skin when called upon, he wouldn’t be looking at prison time? If Walker had been wearing a kilt and carrying a basket hilt sword instead of a potato peeler, he wouldn’t be looking at prison time?